In this 15-minute video, curator Roddy Shrock talks about the artists and artwork in this group exhibition. Photo by Thomas Dexter, courtesy the artist. Shown courtesy bitforms gallery, photo by Mario Gallucci. Click to view/download the exhibition guide. Since 1997 the New York-based non-profit, Eyebeam, has actively provided support for and exposure of projects that critically engage with emerging technology and crack it open in unexpected ways. For this exhibition at Upfor in Portland, director and curator Roddy Schrock asked seven of Eyebeam’s most forward-looking and adventurous artists working in myriad tech-related forms, from conceptual to sound arts, to render their work into objects: Chloë Bass, Zach Blas, James Bridle, Heather Dewey-Hagborg, Zach Gage, Brian House and Addie Wagenknecht. In our current “internet-of-everything” age, where information is immediate and ubiquitous, physical objects have taken on a new immediacy in helping to create appropriate metaphors for the highly complex algorithm-driven world in which we live. The resultant works challenge and interrogate notions of materiality and its porous relationship to data and concepts. Chloë Bass (b. 1984) is a conceptual artist working in performance, situation, publication, and installation. Bass is a the recipient of a Create Change Residency from the Laundromat Project and a Fellowship for Utopian Practice from Culture Push. She holds a BA in Theater Studies from Yale University and an MFA in Performance and Interactive Media Arts (PIMA) from Brooklyn College. 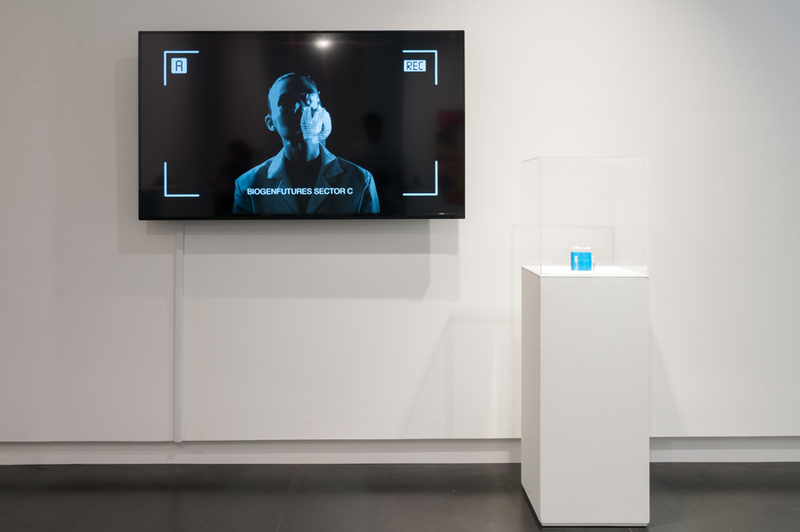 For this exhibition, Bass presents a two-channel “video peep-hole”. Zach Blas (b. 1981) is an artist and writer whose work engages technology, queerness and politics. Blas presents new objects from Contra-Internet, an ongoing project that describes the emerging militancies and political subversions of neoliberal, networked digital technologies. He is a Lecturer in the Department of Visual Cultures at Goldsmiths, University of London. James Bridle (b. 1987) is an artist, writer, journalist, and publisher based in London, UK. 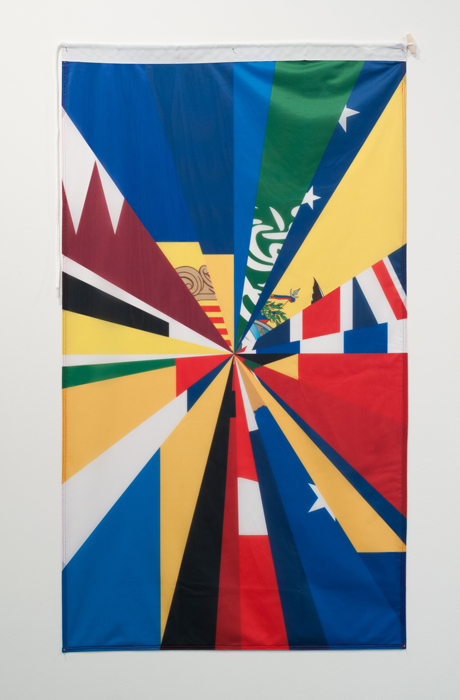 His formulation of the New Aesthetic research project has spurred debate and creative work across multiple disciplines, and his artwork has been exhibited worldwide and online. Bridle presents artifacts produced through Citizen Ex, a project aimed at visualizing web users’ "algorithmic citizenship" by mapping the locations of web sites, documenting the geographical structure that underlies the internet. Heather Dewey-Hagborg (b. 1982) is an information artist and bio-hacker currently based in Chicago, IL. Her work manifests as booklets and products aimed at educating and helping citizens avoid DNA surveillance and tracking. She is a PhD candidate at Rensselaer Polytechnic Institute, holds an MPS in Interactive Telecommunications from New York University and a BFA in Information Arts from Bennington College. Zach Gage (b. 1985) is a game designer, programmer, educator, and conceptual artist from New York City. Winner of Apple Design and Game of The Year awards and BAFTA Nominee, he has exhibited worldwide at art institutions and in Apple stores. His work often explores the powerful intersection of systems and social dynamics. 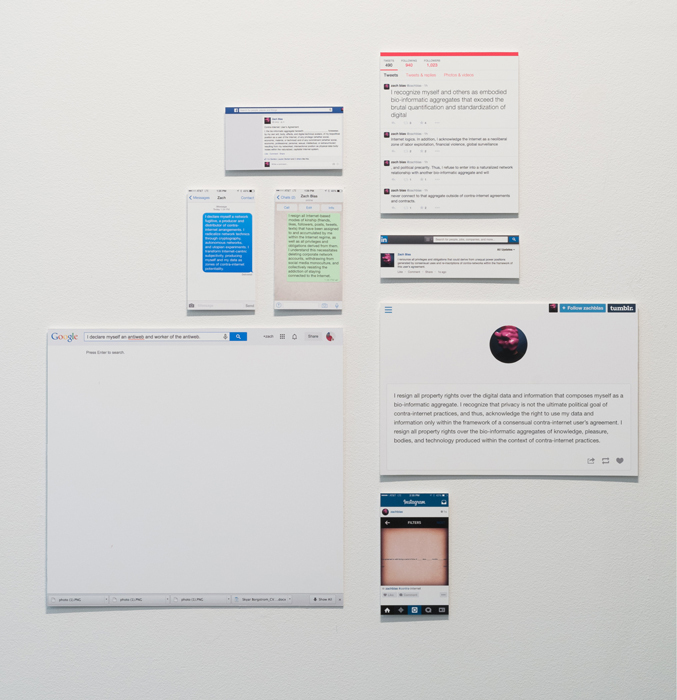 For this exhibition, Gage presents unique poems generated via the top three results for a specific prompt to Google autocomplete, presented on an e-ink screen. Brian House (b. 1979) is a media artist whose work traverses alternative geographies, experimental music, and a critical data practice. House holds degrees from Chalmers University of Technology, Göteborg, Sweden and Columbia University, New York and is a PhD candidate at Brown University, Providence. For this show, House uses telegraph sounders to explore and highlight how the limits of infrastructure shape communication. Addie Wagenknecht (b. 1981) is an artist and researcher living in New York and Austria. Her work deals primarily with pop culture, feminist theory, new media and open source software and hardware. For this exhibition, she presents a hanging sculpture made from 3D printed guns. Wagenknecht holds a BS in Multimedia and Computer Science from University of Oregon and is represented by bitforms gallery in New York. Curator Roddy Schrock (b. 1976), director of Eyebeam, builds programs and residencies, bringing together artists, designers and technologists to engage the public. He studied electronic music at the Royal Conservatory of the Hague, Netherlands and Mills College, CA. Schrock is adjunct faculty at NYU’s Interactive Telecommunications Program and sits on the Netherland-America Foundation Cultural Commission.